This is a 5 part series on understanding the different flavors of JTBD and how to decide which is most appropriate to help you meet your innovation goals. Part 1: What Methodology Should you Hire to Help You Apply “Jobs to be Done”? Part 2: Selling ‘Jobs to be Done’: Who’s the Customer? Over the past 4 days, you’ve learned how about understanding Jobs to be Done can change how you design, market and sell products to your customers. We focused primarily on the early stages of uncovering the progress your customer is trying to make and his struggles to do so. But this is just the foundation for the strategic decisions and tactics your team must take on to benefit from the power of Jobs to be Done theory. The ODI process includes the identifying of unmet needs as but one step along a much more comprehensive process. Proponents of the approach claim that the insights gathered and the corresponding strategy can serve as a roadmap for years. 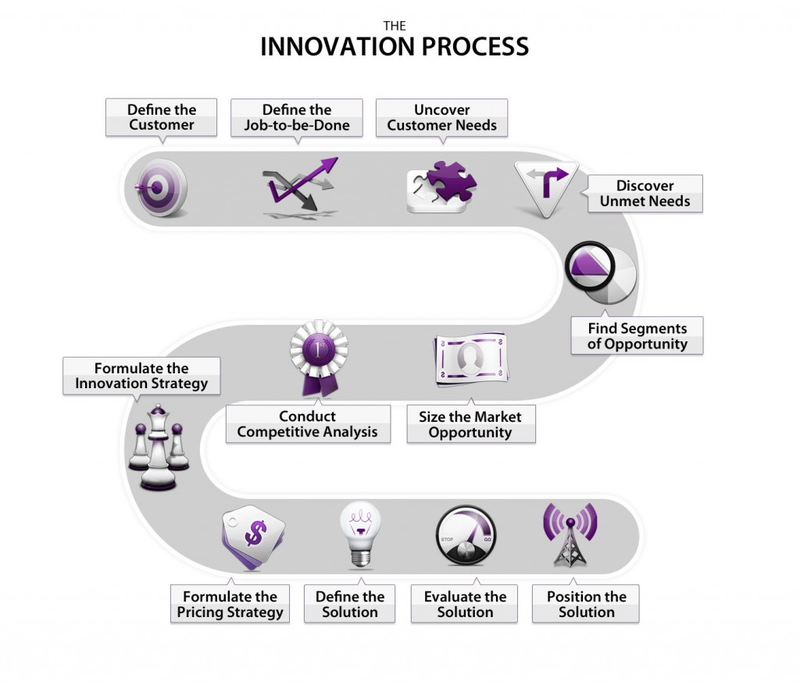 Services include not only research but also marketing strategy, innovation strategy, and pricing and positioning. Developing an understanding of customers’ Jobs to be Done can also serve to drive a product portfolio strategy. This may involve either developing complementary products that help a customer get their entire Job Done better, or competing products that appeal to over- or under-served customers. And there you go — an overview of some of the nuances between the different methodologies of bringing Jobs to be Done theory into practice. This series was intentionally non-prescriptive. Your own circumstances and capabilities will lead you to the solution that’s best for you. As always, I welcome questions, comments and corrections to ensure this series is useful for its readers. Commentary on innovation, customer value and design thinking. For more information on our consultancy, visit frameplay.co.